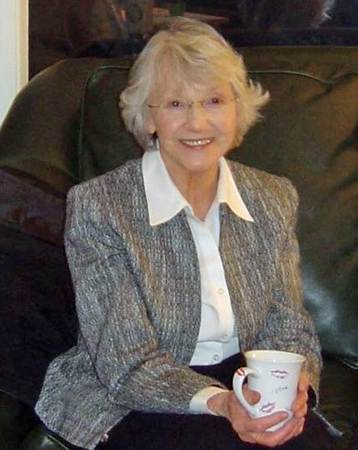 Grace Francis (Johnson) Foss passed away on Thursday, August 9, peacefully and surrounded by family, including her husband of 68 years, Dave Foss. She was born in Missoula, Montana on March 28, 1930, but spend her formative years in Spokane, Washington. It was there that she developed a great love for the Catholic church while attending catholic schools, graduating from Marycliff Catholic High School in 1948. Grace developed a love for Montana when she spent her summers visiting family in the Bitterroot Valley. She met her husband Dave in Hamilton, where they were married on August 5, 1950. They had 6 children, Mike, Marlin, Jaylene (deceased), Mary Ann (Rod) Keune, and twins, Dale and Gail. She is survived by 14 grandchildren, and 16 great-grandchildren. During her 88 years, her first love was family and friends. She also enjoyed gardening, reading the bible, knitting for the prayer shawl ministry, experimenting with recipes, and watching Gonzaga basketball. Anyone who knew her, knows the dynamic force she was, and she will be missed by many. Go Zags! A Vigil service will be held at Daly-Leach Chapel on Thursday, August 16, at 7:00 pm. A Funeral Mass will be held at Saint Francis Parish in Hamilton, on Friday, August 17, at 11:00 am. A reception will be held after the mass at the Parish Center.